From 4th to 10th of May, Interpack 2017 was held in Düsseldorf, which is the world’s leading packaging events. Businesses across different industries came from all over the world to present new and effective forms of packaging and processes. Miladan visited the event to observe new trends in the industry, as well as being inspired by the latest technology in packaging. We have gathered some of the most important highlights from the event, in relation with Miladan’s products as plastic seals, packaging and other sealing solutions. Innovation is not only about constantly trying to create new internal initiatives, processes and projects. It is also very much about focusing on gaining inspiration from other industries, that works in relation to one’s product. This was also a main criteria for Miladan’s visit to Interpack 2017, where inspiration and innovation were the main topics for the year’s Interpack 2017 edition. Visitors and exhibitors came from all imaginable industries and business, including food, pharmaceutical, cosmetic and other industrial sectors. There was certainly no lack of curiosity, since the fair hosted more than 170,000 visitors and 2800 exhibitors, so there has been a lot of interest in the industry’s development. The overall purpose of the fair is to present companies with new solutions. No other fair presents the same opportunities for creating improvements and optimizations, no matter what part of the value chain, one’s company represent within the industry. In addition, more long-term perspectives were also discussed. The future offers many upcoming challenges and solutions within, among other things, plastics, seals, labels, packaging and bags, all of which are in front of major changes, involving exciting possibilities for Miladan. The fair offered many impressions. One could not avoid being impressed by the combination of the fair’s size and the technological quality of many exhibitors. However, there was a tendency throughout the whole fair, regardless of industry or business. The environment plays a crucial role in relation to future initiatives in the plastic industry. Although it has been on the agenda for a number of years, it is still a fundamental need to create new sustainable products and solutions. One of the most important focus areas was plastic products and how to create quality products with 100% recyclable plastic. Fossil fuels create negative global changes that all industries must take responsibility for. It is necessary to focus on more sustainable raw materials in plastic production, so the plastic industry uses a larger amount of CO2-friendly bioplastics. Miladan’s future strategy is also more targeted towards creating a greener profile. Sustainability must be included as a major element in our plastic products, such as seals, bags, packaging, etc. So far, the challenge has been, that the industry has not been able to create and design plastic seals with 100% recyclable material, which also has a corresponding high breaking strength, that can be used for specific purposes. This expresses a general problem in the plastics industry, as bioplastics can not be used for all types of purposes. besides that, the price plays a major role as well. Bioplast is a more expensive material to manufacture, which can be a crucial factor for many companies. In addition, the fair also gave many exciting ideas for new extensions in our product portfolio. More advanced technology solutions, offering an interesting alternative to several categories within our products, that we will focus more on in the coming years, so we can offer a complete product to Miladan’s customers. In particular, global digitalization has made its mark on the market, and in this area, Miladan must also adapt the company if we are to meet our innovative values. In relation to Miladan’s products, great technological advances have been achieved in labels. RFID technology is becoming more significant, and today it can be used with a much greater degree of flexibility than before. Although Miladan is already working on RFID labeling and sealing, we always want to improve our product solutions if it can generate profit, satisfaction and security with Miladan’s customers. The fair also offered meetings with interesting acquaintances. Miladan has partners and customers across Europe, where several of them also have chosen to go to Düsseldorf. We want a close relationships with our partners, so we can guarantee the quality of our products and communications throughout our value chain. The fair is a great place to expand one’s network, in order to create new relationships. Miladan’s products attracted much enthusiasm among many of the visitors on the fair, and several also chose to invest in Miladan’s products. This is largely due to the fact that we offer flexible solutions for our customers which are always characterized by high quality, whether they are seals, theft markings, labels or similar. We are always looking to increase Miladan’s network, so more industries are aware of what we stand for as a business and what we offer of solutions. We consider our network as an effective way of sharing knowledge, where we can contribute with input on strategy and industry initiatives that can benefit each other’s situations. All in all, the visit to Interpack 2017 can be certified as a successful trip, that has been about innovation, technology, sustainability and network. 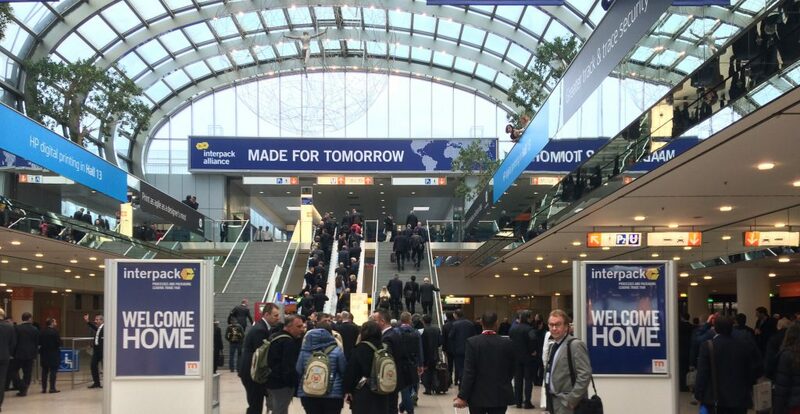 Want to read more about Interpack? – Click here. Want to read more about Miladan’s sealing and security solutions? – Click here. 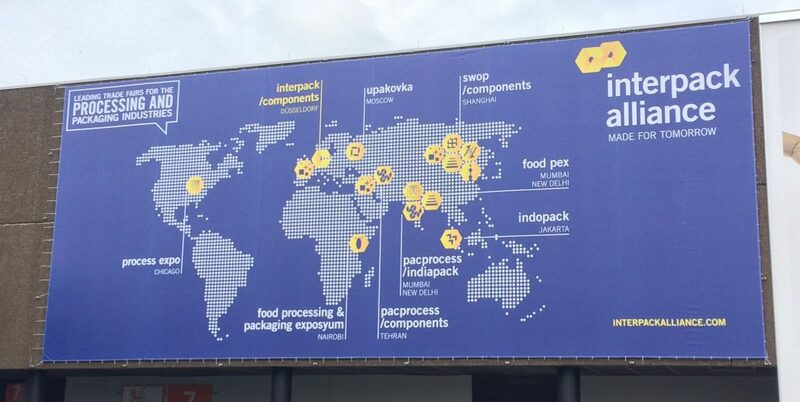 If you have questions regarding the article or want to hear more about Interpack – Please contact us at +45 7582 8300.